Metro: None, perhaps Spagna. An alternate is to take Bus 40 or 64 (get off at Piazza San Panteleo, 2 stops past Piazza Venezia, then walk 2 blocks north and 1 block west from there). 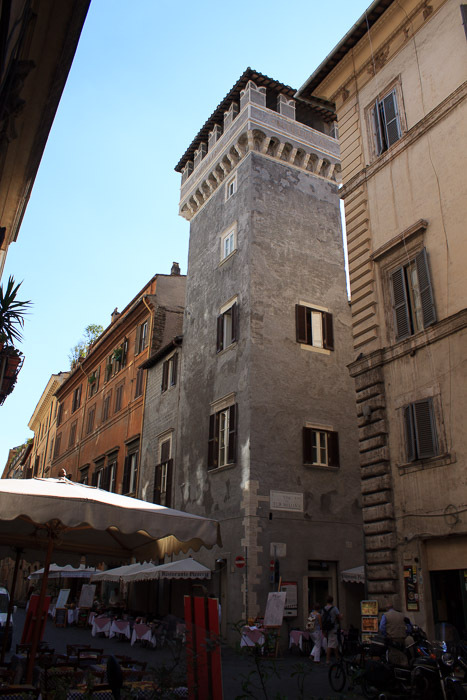 Tor Millina is just a cool 13th century tower near Piazza Navona. 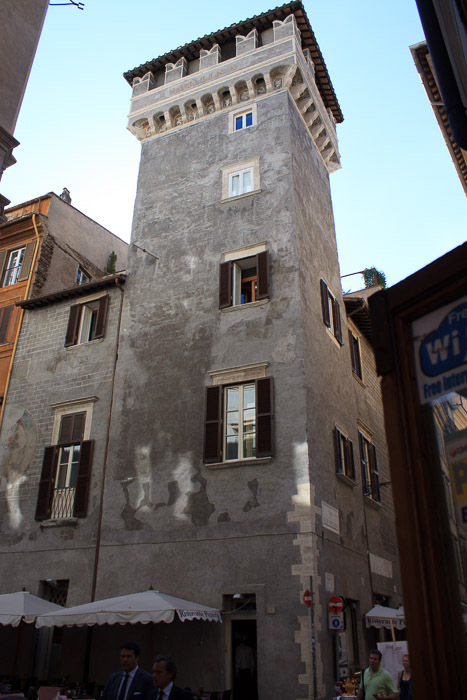 The windows on the 3rd and 4th floors are original; the windows on the 1st and 2nd floors were added much later when the tower was bought by a noble family. Today the tower is a residence. The word Millina still shows at the top of the tower. See all Tor Millina photos.